Welcome back to the Vintage Inspiration Party! 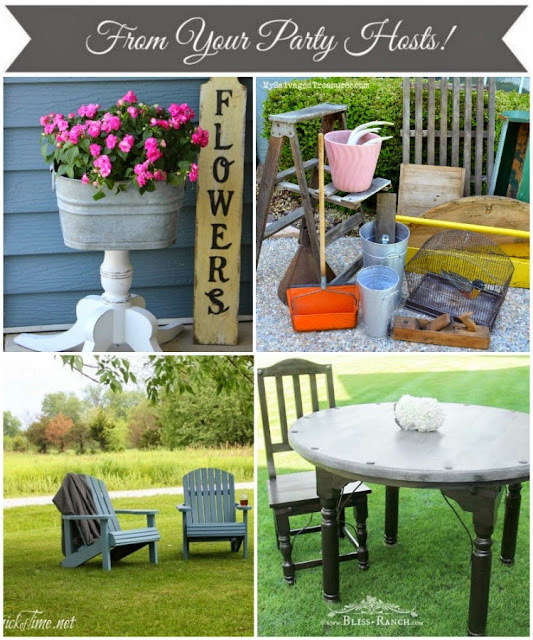 This is the place to share anything old, treasured, passed-down or tattered, but you can also share projects that were made to look old, including repurposed and upcycled creations. vin-tage (adj.) 1.) used to describe something that is not new, but that is valued because of its good condition, attractive design, etc. 2.) used to describe something that has the best qualities or characteristics of the things made or done by a particular person, organization, etc. Carlene from Organized Clutter and Bliss from Bliss Ranch. Both of these ladies are multi-talented and we're so happy to have them as co-hosts at the Vintage Inspiration Party every week. Let's see what your party hosts have been up to. 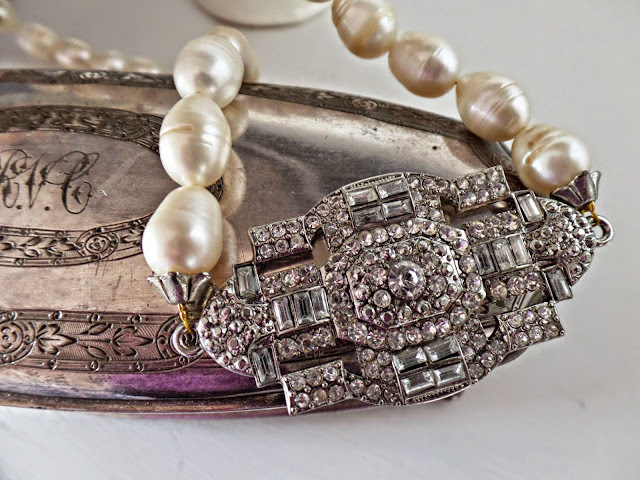 My Vintage Life found this stunning pearl and rhinestone necklace in a second-hand shop. 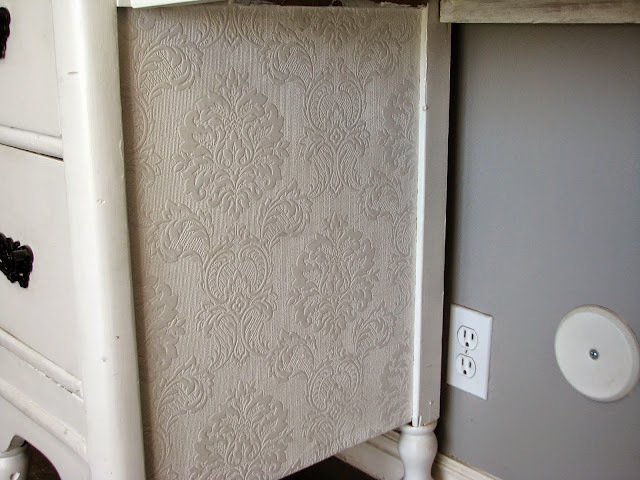 This is such a clever idea from My So-Called DIY Blog. She used embossed wallpaper to cover the damaged veneer before painting this vanity. 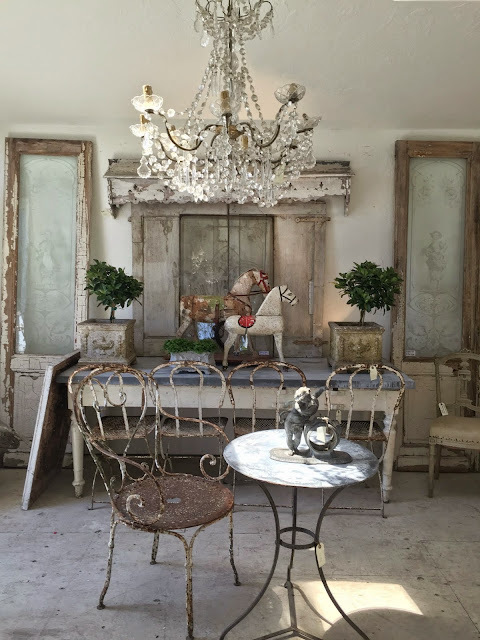 D.D.s Cottage and Design shared some beautiful photos of the Spring Container Sale at Atelier de Campagne. 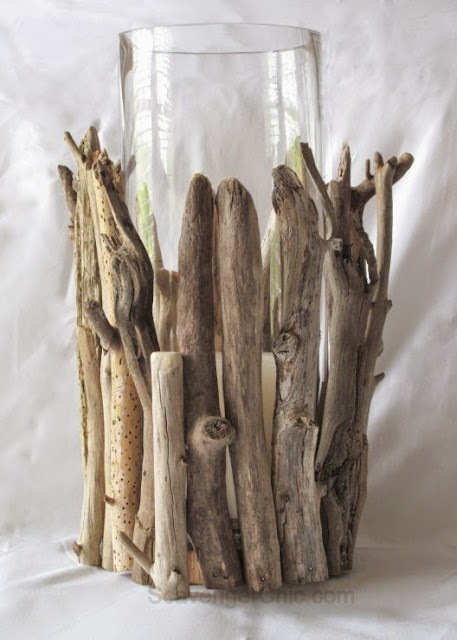 Scavenger Chic shared how she made this pretty driftwood hurricane lamp for a fraction of what the high-end stores charge. 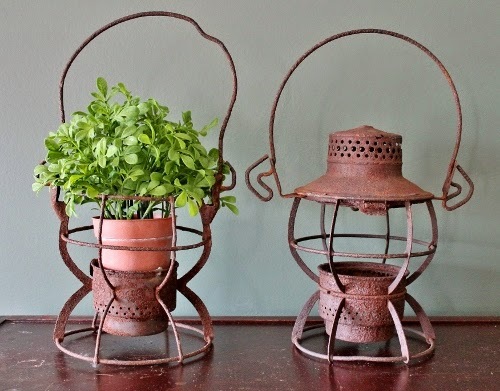 Adirondack Girl @ Heart found some wonderful treasures including these old lanterns. This week's featured blog is Shelstring. This week's featured shop is Roses of Yesteryear. If you were featured this week, we'd love it if you'd grab our button and share the news. 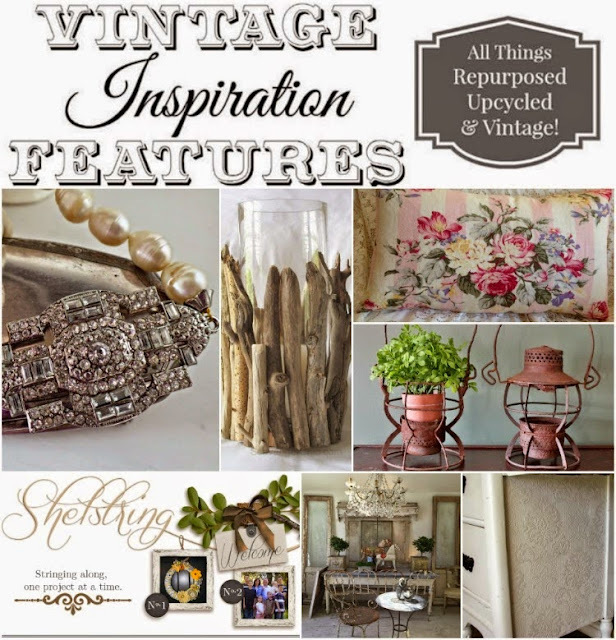 Now let's see what vintage-inspired decor you have to share this week! – You are welcome to share anything vintage or vintage inspired. This includes yard sale finds, repurposed and upcycled creations, family heirlooms - including vintage Etsy & Ebay items you have for sale! If it’s been around awhile or just looks that way…share away!! No food links please. – Pin away, but please be sure to pin directly from the original source, not from my blog. – Be sure to have a visible link to Organized Clutter within your post (text link is fine) within your post. Thanks for joining us as a party co-host, Carlene - I'm so glad to have you on board! 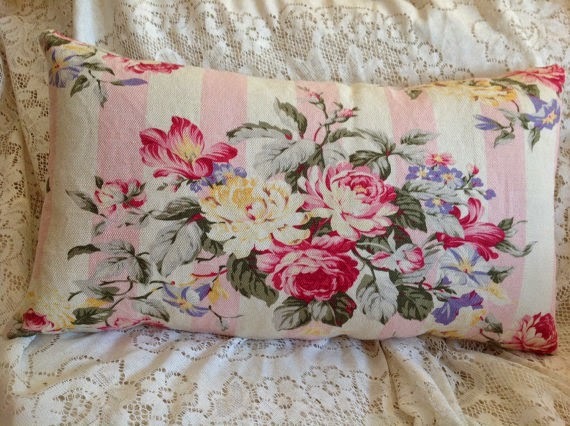 Thank you Carlene and Friends for Vintage Inspiration 189. Such a great collection of vintage this week.